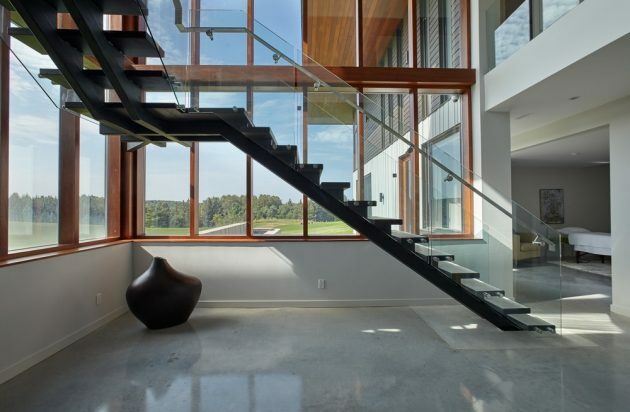 The Stouffville Residence is an enormous contemporary residence located in Stouffville, Ontario. 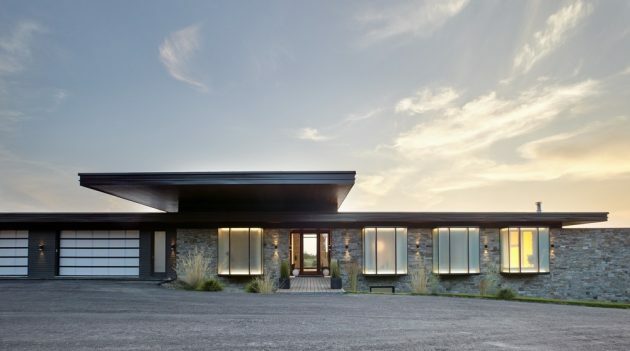 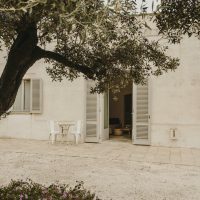 This 5,000 square feet family home rests on a roling field, held together by rustic stone walls that separate it from the rural, farm fields that encircle the building. 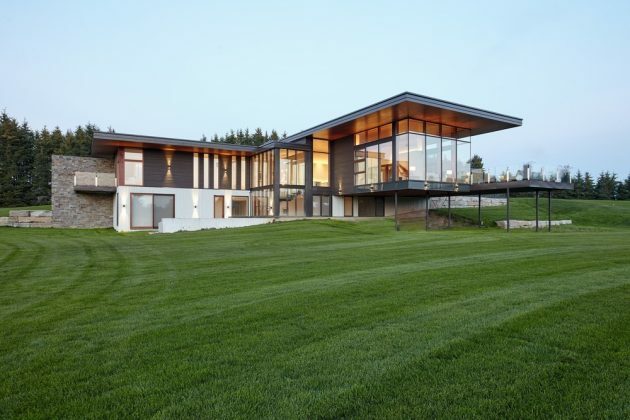 The design of this contemporary abode by Trevor McIvor Architect revolves around minimizing the impact of the large building on the natural surroundings while also maximizing the beautiful sights that its glazed surfaces provide while making the most out of the sunlight. 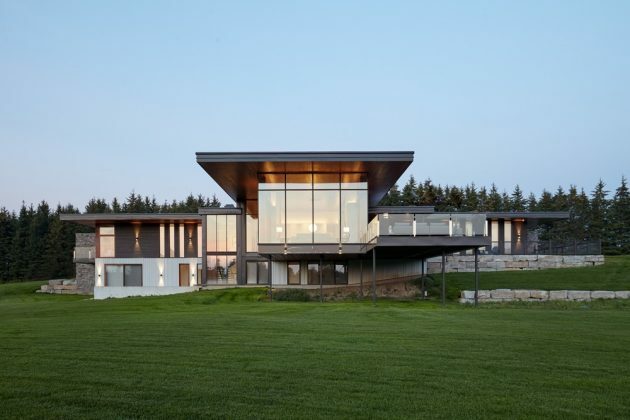 Resting on a rolling field, this modern rural country home outside Toronto was inspired by the stone walls that were used to separate farmer’s fields. 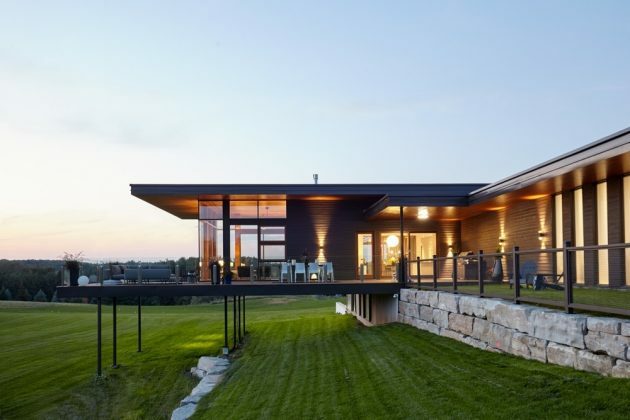 Stouffville Residence is grounded in the earth while being cantilevered over a vast landscape. 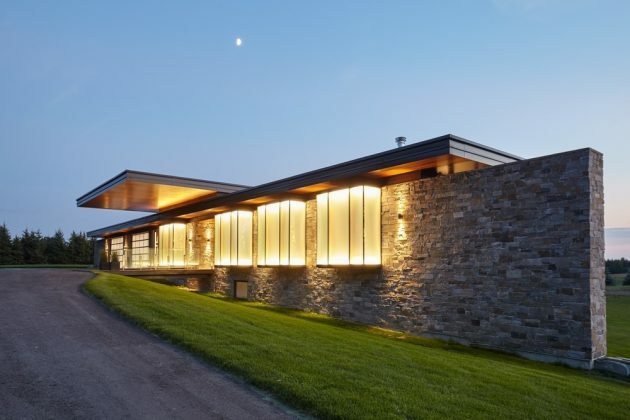 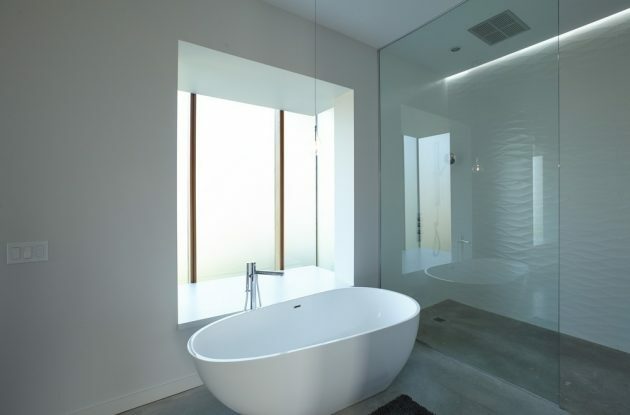 The stone entry wall, low and private, hints program through a series of translucent glass boxes punching through the otherwise monolithic wall. 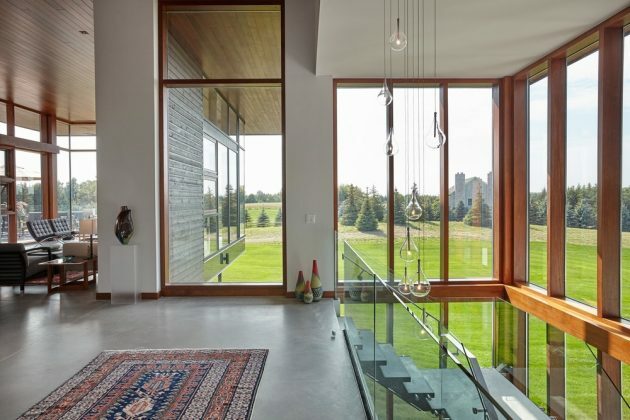 This wall acts as a key organizational element anchoring a series of glass volumes that open up to the south of the building overlooking the property and offering commanding views of the landscape. 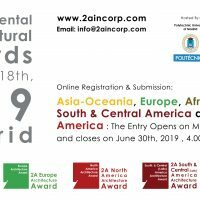 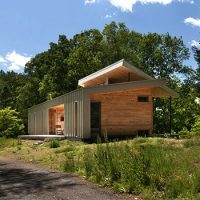 The orientation of the project intends to minimize the building’s impact on the area while maximizing site lines and access to natural daylight. 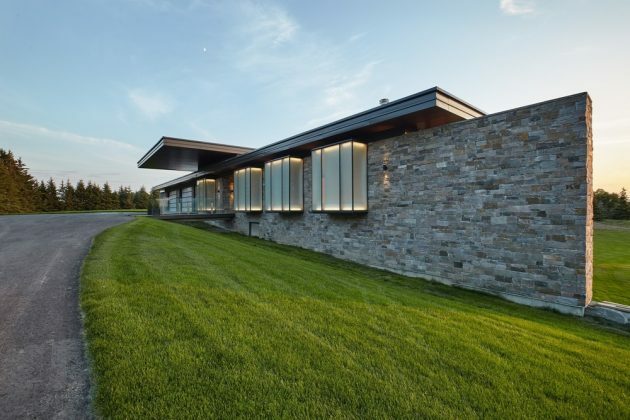 The roof seemingly floats above the stone entry wall suggesting a more gestural and dynamic roof on the dwelling’s other face. 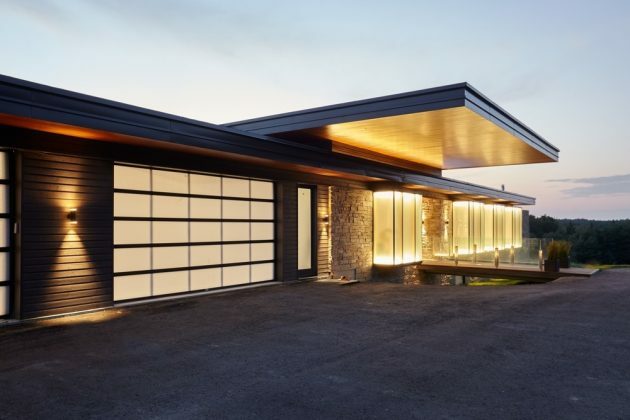 Two main programmatic bars make up Stouffville Residence. 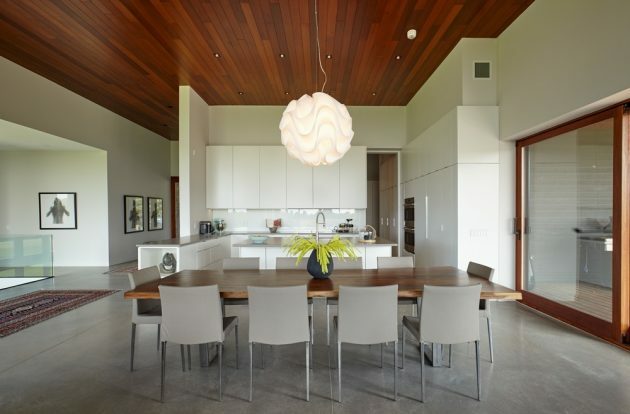 The more public spaces make up the heart of the house, and the more private areas branch off to the sides. 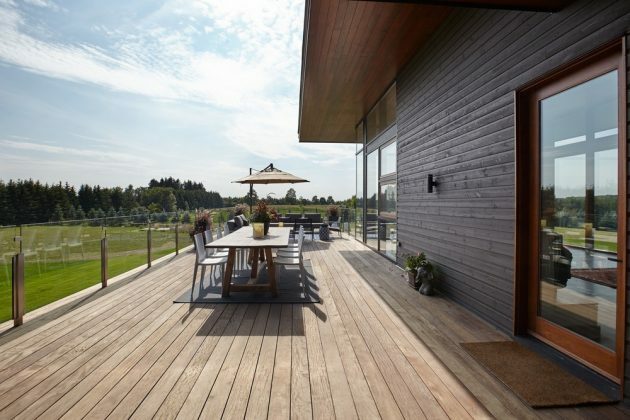 The main axis of the residence includes the kitchen/living/dining rooms, with the outdoor wooden terrace serving as a continuation of the living space. 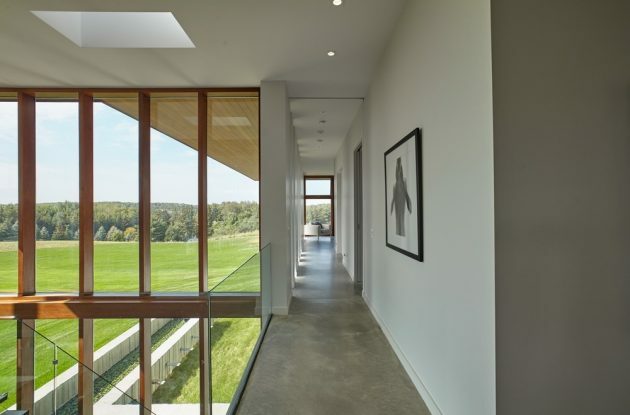 A practical ‘service’ box adjacent to the main entry houses the mudroom and pantry, helping to maintain a minimal lifestyle of the main public axis. 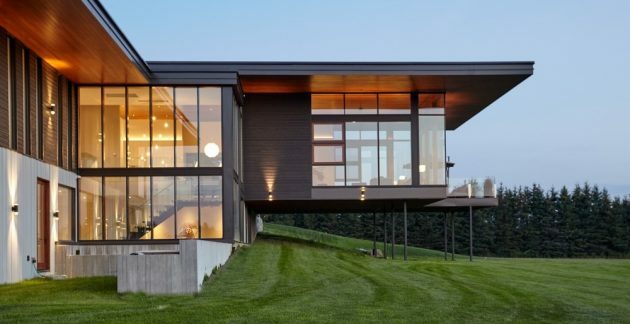 The dwelling encompasses a master bedroom with an integrated ensuite on the main level, as well as two bedrooms on the lower level. 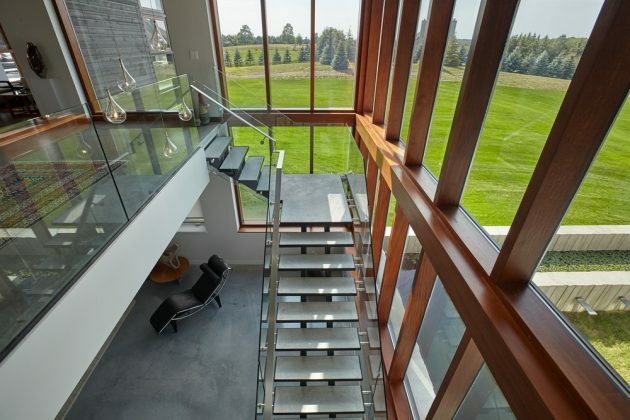 Stouffville Residence is spacious, yet proportional, always focusing on the view out onto its’ surroundings. 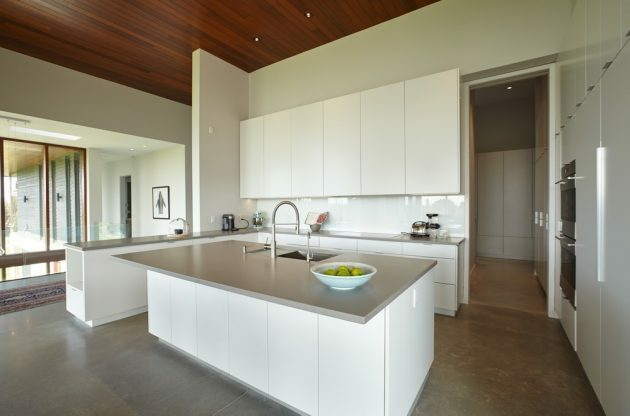 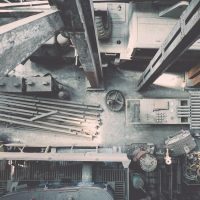 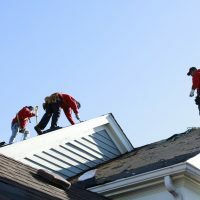 Material finishes include, but are not limited to local granite, Canadian cedar, polished concrete, glass, and mahogany. 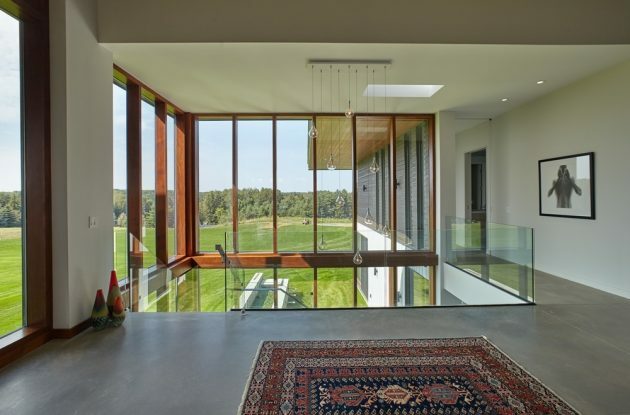 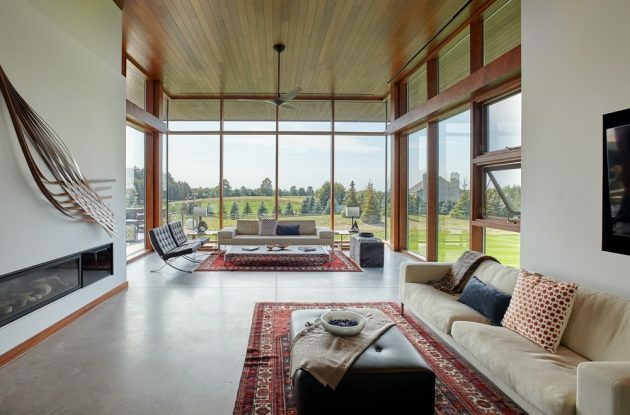 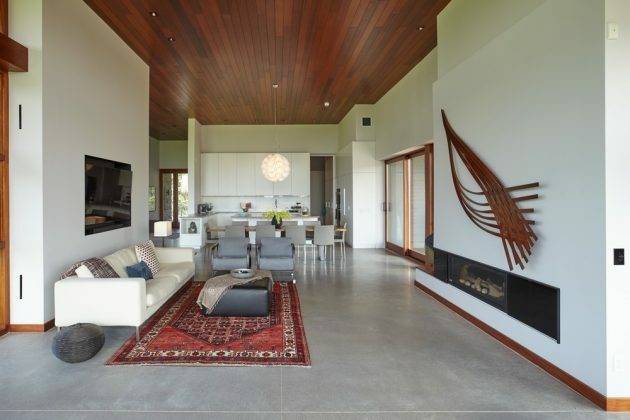 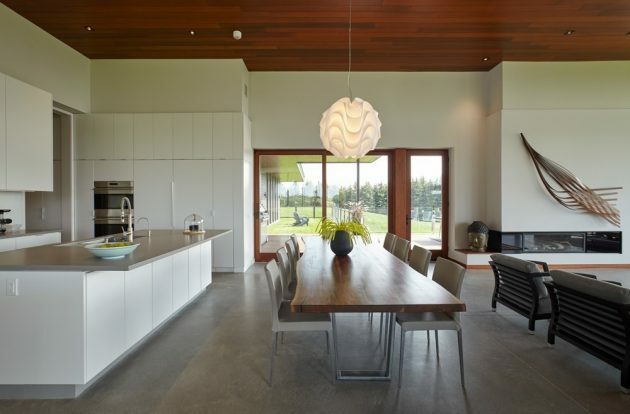 Radiant in-floor heating is provided by a trenched geothermal loop, providing for a comfortable, all-year-round temperature as well as the added benefit of sustainability features.